So. I don't know stuff, about stuff. Like Gencon.. and Nano-engineering, but I want to know about GenCon. Apparantly there was a timelimit on the pre-order pass deal. Now I've missed out (stupid bank refused to mail me my new CC, took like a month for me to pick it up).. but I can still buy my pass the day of/night before yes? 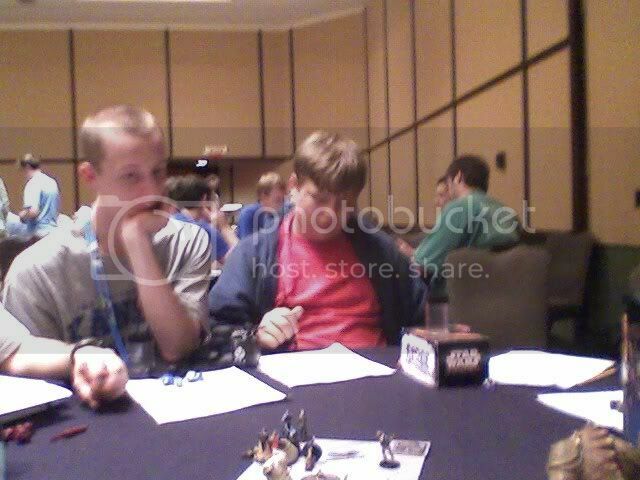 If you're refering to the actualt GenCon badge then yes, years ago I used to wait in line in the morning to get them, last year I got it Wednesday night without wait. excellent, thanks so much, I expect that I will be doing some in line waiting for sure. alrighty, plans are made. Trip is happening, can't wait to hang out with you guys! Minis is second to friendships after all! I hear a rumor you're going with Tint. 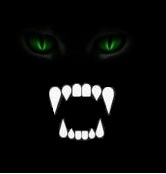 You willl have to leave 5 days early to make a detour in to Alberta to pop by and say "hi!" Then we can really start our Campaign!! hmmm, five days early... could be done I'd need a plane though..
On a Side Note, I have some to give away since its fun to give away stuff! 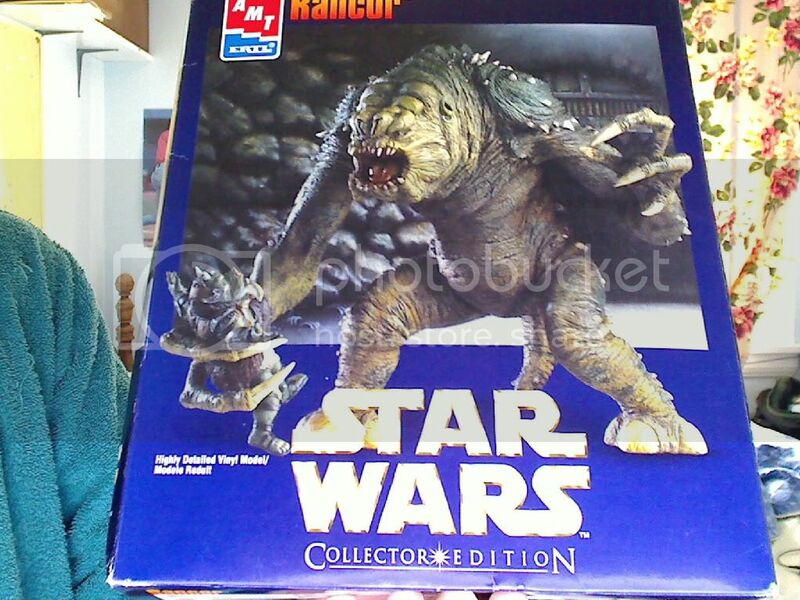 A vinyl Rancor Model! All parts are included, but come unglued and unpainted. It could look great decorating your Shelf or tucked away in a loved one's Hope Chest. Clearly a potential Heirloom here. Oooo and one more thing, I have an additional copy of Axis and Allies that I found at a giveaway. Its been used, but I'll make sure that all the parts are there for you before I hand it off. Free to whoever wants it that I'll run into at GenCon. Phew! What a weekend. I'm finally home, got my new minis all spread out on the bed, bags and travel boxes on the floor. And I'm a bit sick, must have been a great weekend! Wednesday evening Thereisnotry (Trevor) and I arrived at the Convention Center and I got inline to pick up tickets...unfortunately after waiting for nearly an hour I was in the Event Registration line.. and couldn't pick buy tickets since I didn't have a badge yet! So off I went to the Badge Reg line and waited some more. Finally got my Badge and picked up enough Generic tickets to be able to play on Thursday. it must have been close to 10 or so, so Trevor and I were off to get some food-ables at the nearby Steak and Shake. Mmmm, cheap fastfood. Finally located our hotel room, sharing with Bill, Jonny and Matt P, settled down for the night. What also happened on Wednesday was some awesome RPG-ing courtesy of the LoboStele. He ran a great scenario and had some hilarious pre-generated characters. It was also my first intro in Saga edition, but the game seemed pretty easy to pick up on. Thanks to the guys who helped me get up to speed and were patient while I figured it all out. The RPG-ing was a blast, especially when half our party got Force Blasted by Joruus and also while Nate was trying to kill the objective! When Trevor's character grappled him to the ground, the look on his face was priceless, and I took a pic somewhere too! Thursday morning was a hectic start to a hectic weekend. I couldn't find my Minis that I wanted to use, still need to get all the cards out, couldn't find parking in time. We ended up dashing from our parking spot to the Minis hall, just making in time to register for the first leg of the Jedi Challenge. The 150 pt round was for me, my practice round to settle in with the Speeder Squad and Map. Well a somewhat disappointing day for me, but I resolved to not let it get me down and to do better tomorrow! So back to the hotel we went. Naturally the next morning... yeah, had to spend some time digging for the minis.. yeah for unpreparedness! We found some slightly cheaper parking and headed to the hall, just in time again! The first even of the day was the final leg of the Jedi Challenge, the 100 point tournament. I decided to un a simple, yet powerful squad. My map choice was Bespin. As good as this squad is, I got totally creamed in the first match up. I played a Dodonna Rebel Squad, using Luke HPU, Princess Leia and Han Smuggler, with Rieekan and fodder for activation. We ended up on Rancor pit, and though I was able to get first round gambit, thems were about all the points I could get. I tried to get Yoda to dash into the middle and chase down Luke and Han, but he played it well, spread out the important figures and blocked me off with the fodder. In the end I barely got to killing Han, and the FP4 killed my Yoda (he was always outside of six.. imagine that..
Anyways my next three matches went better, wining the next two handily and then my fourth game (for a booster!) was against Deri, running the mirror match on Bespin. He woulda had me, but the dice definitly went my way, when his Rex missed one of his attacks on my Rex, allowing me to kill his rex and his R2, things died and eventually it was his Yoda vs my Yoda, both of us in gambit. I'd put a little damage on his to start and he had to spend one round killing R2, so his Yoda was down 60 damage to begin and mine was at full health. I think I managed to make a couple defense saves, and in the end my Yoda proved to mot be the clone as his fell do Ataru-provided doom. great game and it was fun to play against such an excellent opponent. Then came one of my most exciting events! The Team Challenge. Total Cost: 560 CND =~ 504 USD, right one were I was told to expect it to be.